Old fashioned apple cake. It’s tried, true and has withstood the tests of time. 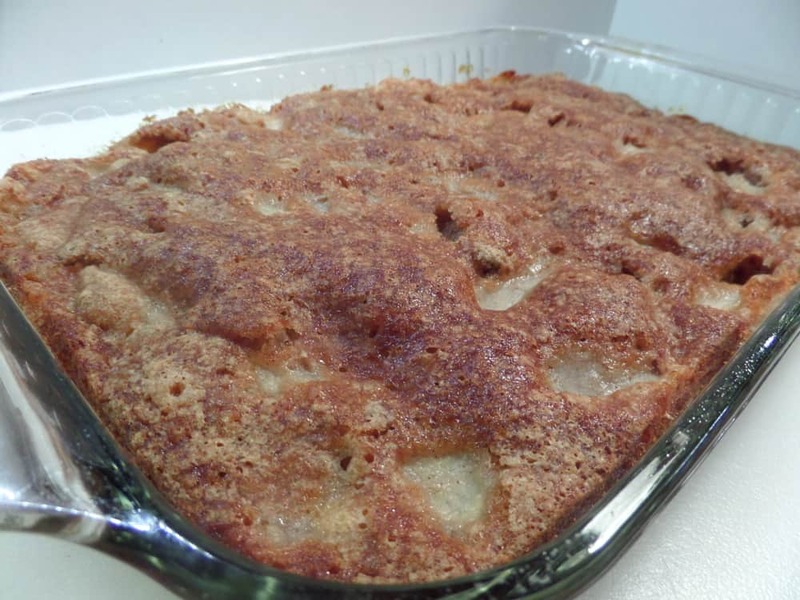 There’s something delightful about baked apple desserts. It’s classic American comfort food. 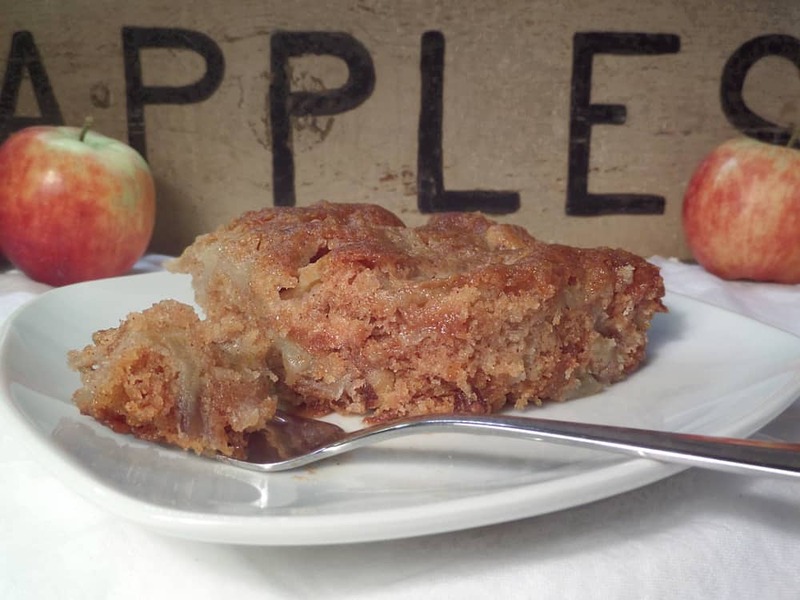 I usually make this cake and a big batch of applesauce when I have an abundance of apples. It just so happens I had a surplus of apples, I stocked up at .$39 cents a pound. Yay! 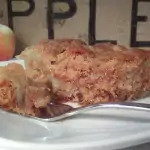 I prefer to make this cake with applesauce instead of any oils, but you can switch it with vegetable oil if you’d like. I slice the apples, but feel free to shred, cube or cut them any way you would like. Raisins compliment this cake wonderfully as does adding a bit of quick oats for texture. Add in more nuts if you’d like or sprinkle some extra on top. Add more spices – ginger, nutmeg, cardamon – whatever your taste buds fancy! Switch up extracts or try a bit of bourbon or rum. I love making baked goods that leave so much room for creativity. The batter will be thick and dry – no need to worry and please don’t go and add extra liquids. As always, when baking with fruits, the juices will moisten everything up. This cake is very moist and a bit sticky. Sweet and simple, it’s a perfect dessert for any occasion, any time of the year. I love it as is but it’s wonderful topped with some whipped cream, caramel syrup or vanilla ice cream. This is a great dessert to whip up last minute. It’s simple, quick, and enjoyed by all. Just ask any great grandma – they can throw one of these together from memory effortlessly. Tried and true. Hope you enjoy! 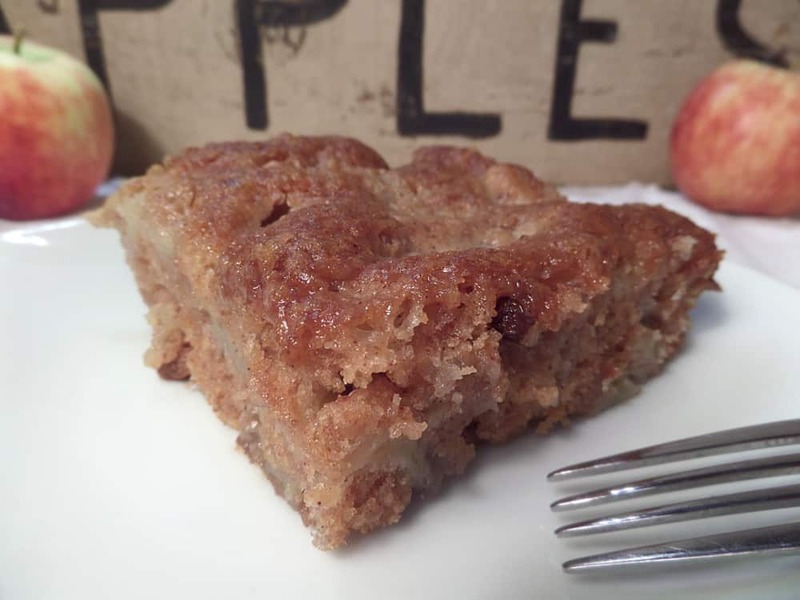 A tried and true old fashioned apple cake. Simple, quick and requires few ingredients or effort. Preheat oven to 350°F. Grease a 13 x 9 baking dish. Prep apples. Wash, peel and slice. Set aside. 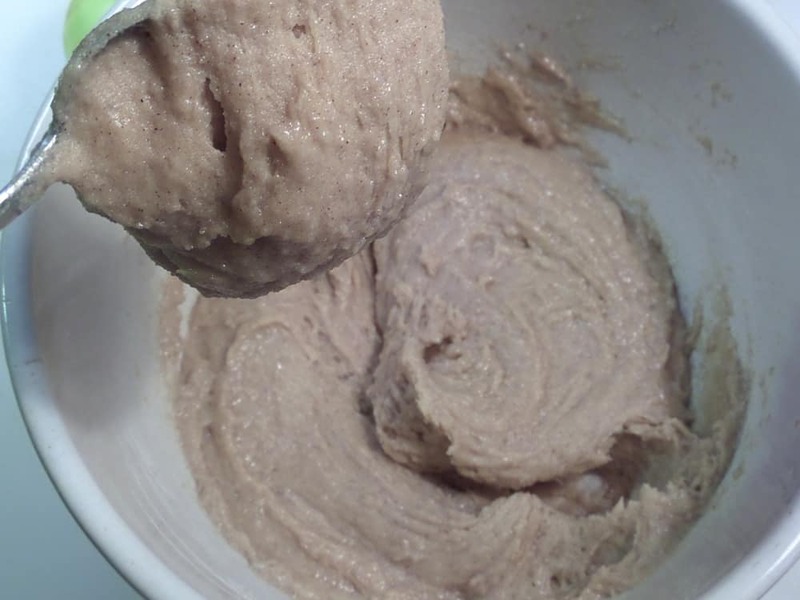 In a mixing bowl, whisk together flour, sugar, cinnamon and baking soda. Mix in vanilla extract and applesauce. Spoon/scrape mixture into prepared 13 x 9 baking dish. No egg, no oil or butter at all? 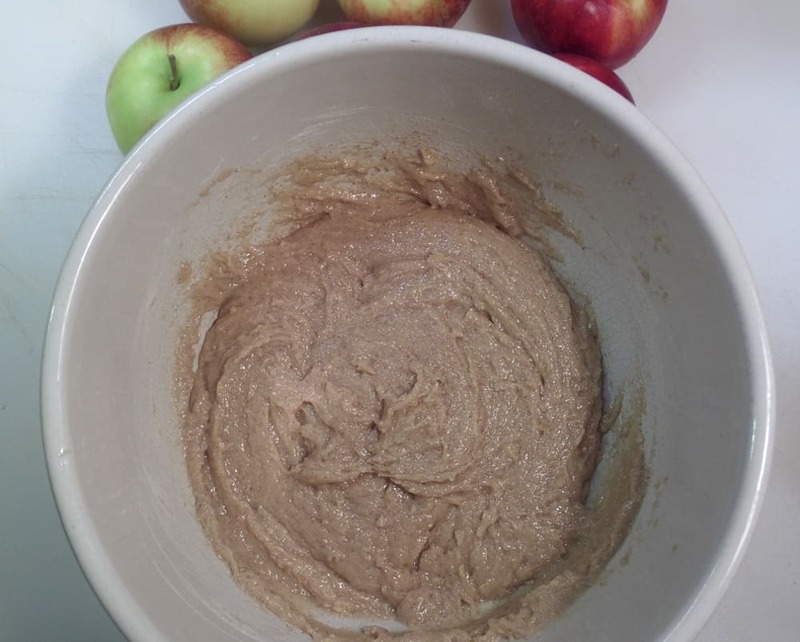 The applesauce acts as the fat/oil in this recipe. is this plain flour or self rising that is used in this recipe? Hi Linda. This recipe needs plain, all-purpose flour. Amanda, I would like to add some quick oats as you suggested. How much do you suggest? should the flour be decreased? I usually just toss a 1/4 to 1/2 cup of oats in without any other changes to the recipe. do we really have to use sugar?? wow, that is a lot. 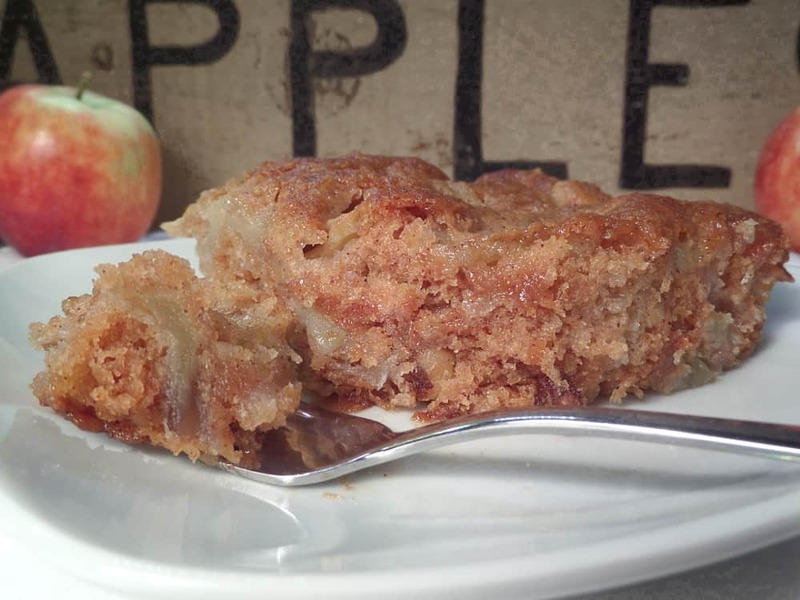 can the recipe be sweetened with just the apples and applesauce?